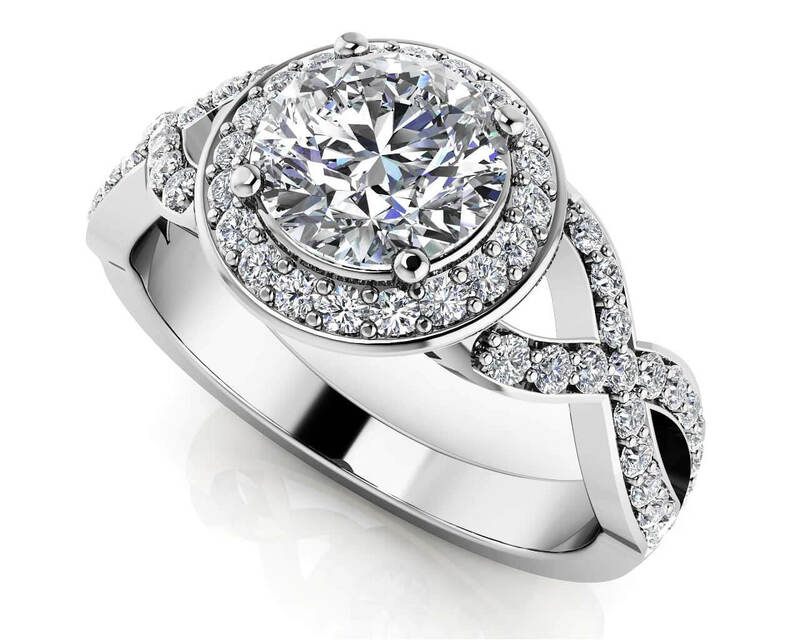 This striking engagement ring has a woven split shank lined with round diamonds set along the top half. 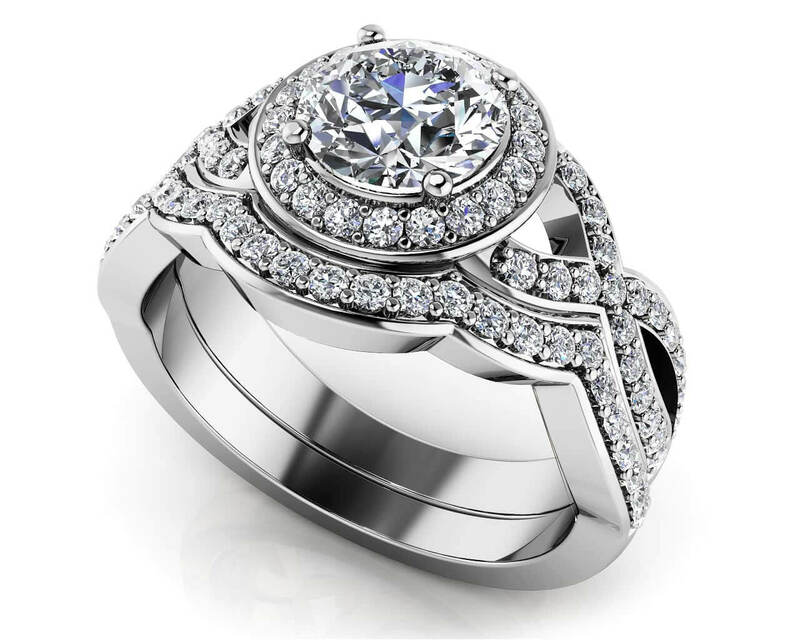 The center diamond stone is haloed by a circle of more luxurious diamonds. 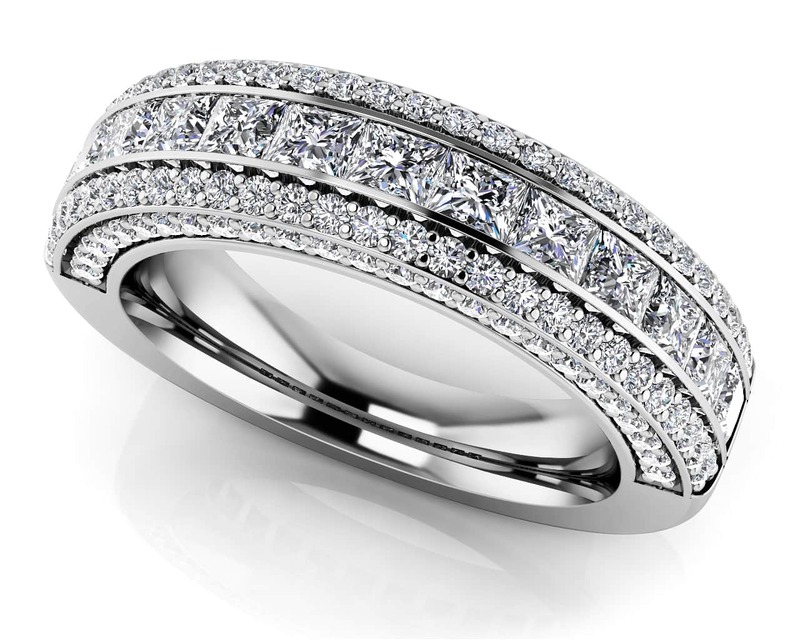 With 59 to 63 diamonds depending on the size, this unique sparkler of a ring is sure to please! 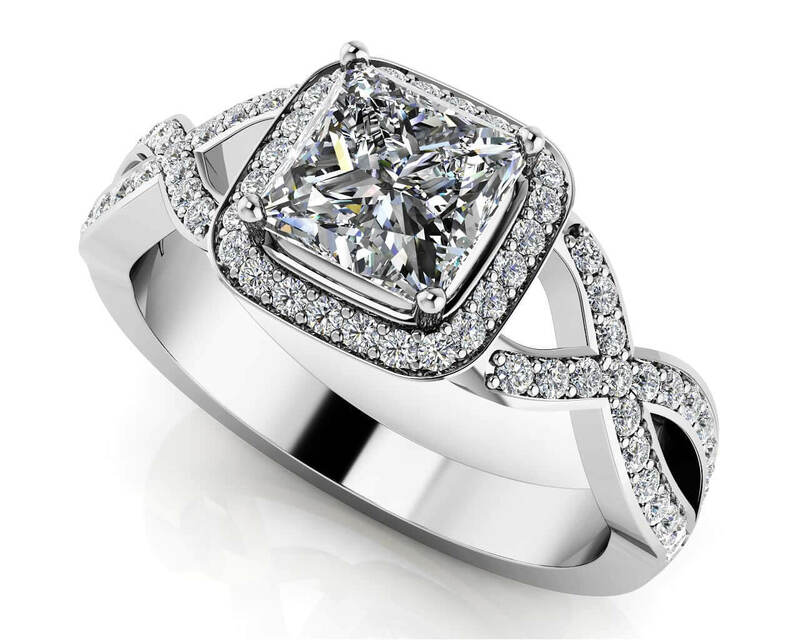 Stone Carat Weight: 58X.007 ct.